This project is inspired by HW Longfellow’s epic poem Evangeline: A Tale of Acadie. First published in 1847, the piece tells a tragic story about the expulsion of early French settlers in the mid 1700s from the territory that later became Nova Scotia. Having married into a large French Canadian family, and being fascinated with New World maritime history, this enclave naturally intrigues me. When I came across the classic literary work, Longfellow’s vivid descriptions of the turbulent tides of Minas Basin, and the fruitful Annapolis Valley drew me to the region. I began photographing the area in 2012 with passages from Evangeline ringing in my ears. Today, much of the rural Western Shore is again declining in population. The dwindling inhabitants of this land being descendants of the original Acadians allowed to return after1764. 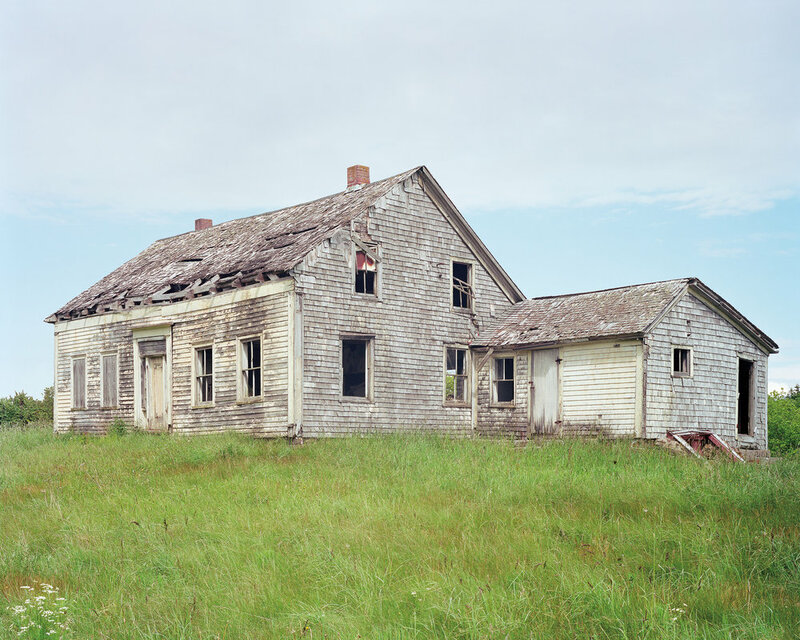 The abandoned properties, vacant ports, and primordial landscapes in my photos represent a new exodus; and are all verses in my own modern tale of Acadia. Mark was born in 1977 in the suburbs of NYC. He received a BFA in Photography from Maine College of Art in 1999. Mark’s images have been shown and published widely throughout the US. Among his solo exhibitions are The Town and the City at Nelson Hancock Gallery in Dumbo, and Slack Water at Space Gallery in Portland, Maine. Notable group exhibitions include Port of Portland: A Ship Shaped History at Maine Maritime Museum, and Unframed First Look at Sean Kelly Gallery. Mark was a winner of Jen Bekman Projects popular photography competition Hey, Hot Shot in 2007, and has been awarded three Maine Arts Commission project grants to support his efforts in Photography. Mark currently lives in South Portland, Maine with his wife and two young daughters.